The main attraction for many visitors to Edinburgh is the most famous structure on the skyline. 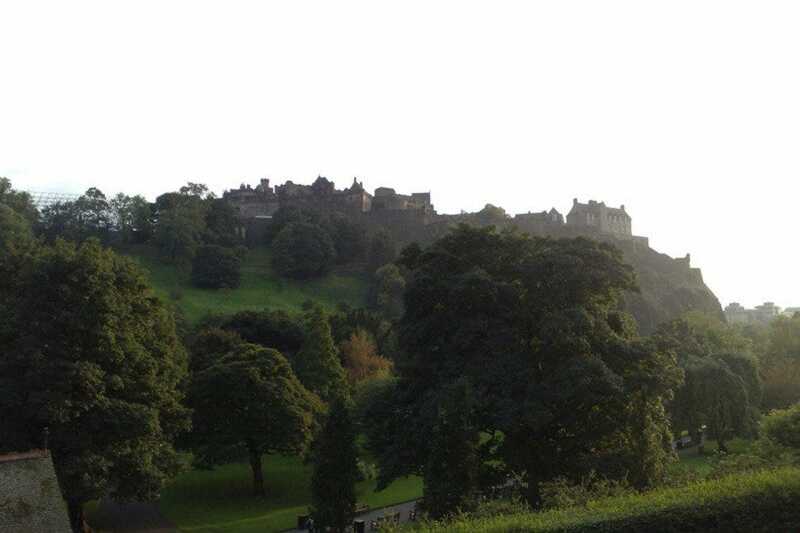 Edinburgh Castle is a fascinating place to visit and you’ll enjoy stunning views of the surrounding city. At the top of the Royal Mile, the castle is a great place to start your day. It’s best to go early to avoid the crowds and soak up some of the authentic atmosphere. There has been some form of fort or castle atop this volcanic plug for centuries and there is still a military presence there today. As you leave the castle, head down the Royal Mile to the grand St. Giles Cathedral. Entry is free and you’ll bask in the glow from the stained glass and marvel at the ornate carvings. The cathedral dates back to the 12th century and it has been the backdrop of many Edinburgh dramas with far-reaching consequences, perhaps most notably, the Reformation which marked the rise of Presbyterianism and the backlash against the Catholic Church. Outside the cathedral you’ll see the Heart of Midlothian on the cobbled street, this marks the spot where the Old Tolbooth sat and where many an execution took place. Don’t be surprised if you see locals spitting on it, this is considered to be good luck (although it was originally a sign of disdain for the prison). If you continue your descent to the bottom of the Royal Mile you’ll find Holyrood Palace, just a stone’s throw from the modern day parliament, with the extinct volcano, Arthur’s Seat, as a dramatic background. The Stewart kings built this royal residence and it still serves the current Queen on her visits to Scotland. 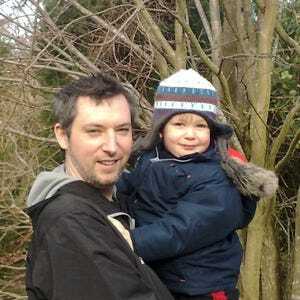 There are also two Edinburgh landmarks which every visitor should see. 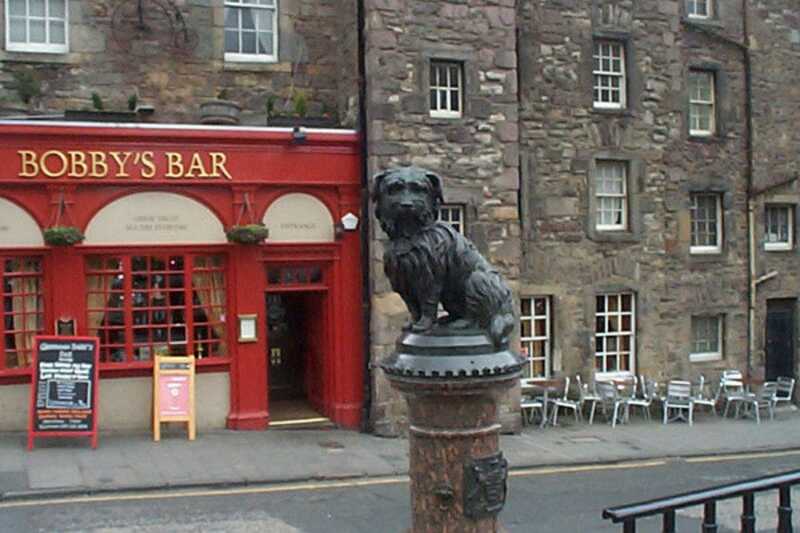 One is Greyfriar’s Bobby, a statue of the faithful dog can be found by crossing George IV Bridge and heading towards the museum. You’ll find Greyfriar’s Kirkyard beyond the statue behind the buildings of Candlemaker Row. Many interesting historical figures are buried there and it’s an atmospheric place to visit. The other is the Scott Monument, a grand gothic structure in Princes Street gardens, which you can climb. It was built with donations from the Scottish public to honor the famous writer, Sir Walter Scott. There are 287 worn, stone steps in the spiral staircase so don’t attempt it unless you have some energy left! Edinburgh was once a dirty city and the putrid vapors of decay drifted out of the Nor Loch (North Loch) which was a dumping ground. The New Town project saw the loch drained away and the modern day Princes Street gardens were built. A series of grand Georgian town houses was also erected so that the wealthier Edinburgh inhabitants could move out from the squalor of the Old Town to more salubrious surroundings. If you’re curious about how they lived then head to Charlotte Square at the west end of Princes Street and visit The Georgian House. This grand town house was designed by Robert Adam and it has been restored to its 18th century grandeur and filled with Georgian treasures, including furniture and fine art. At the other end of Princes Street you’ll find Calton Hill which offers splendid views over the city. The unfinished National Monument of Scotland is at the top, an unlikely reproduction of the Athens' Parthenon. There’s also the Nelson Monument which looks like a telescope. It was built in 1816 in memory of Admiral Lord Nelson, who died at the Battle of Trafalgar in 1805. Simon has lived in Edinburgh for nearly 20 years and studied Scottish history at Edinburgh University so has plenty of experience with the city’s grand past.